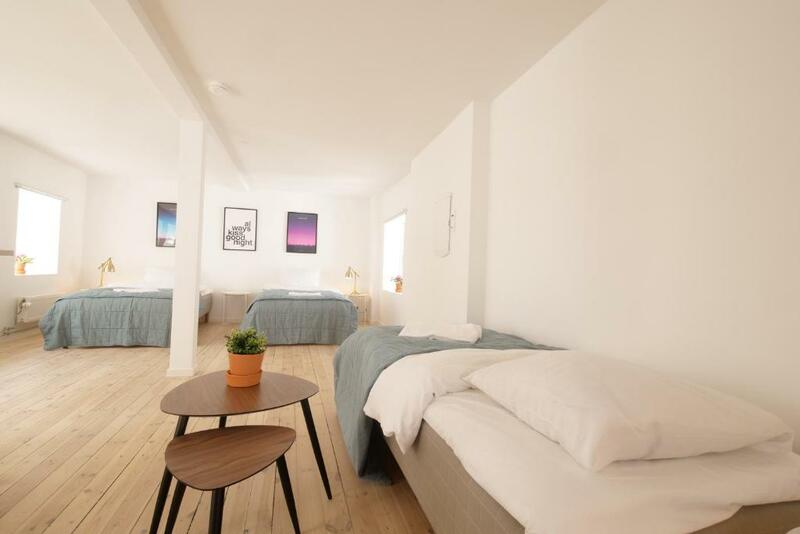 Vurderet af gæster efter deres ophold på Rent a place to sleep. Nyt og rart. Dejligt med mulighed for at kunne lave mad. The apartment was great - quiet, light and airy in a thriving and interesting area within walking distance of everything we wanted to see. Kasper, who met us and gave us the keys, was very friendly and informative. The central location, the spaciousness and how quiet it was Very bright and comfortable. Very good place: kitchen, shower, beds. 1 minute from central street Stroget. 5 minutes from the city center. 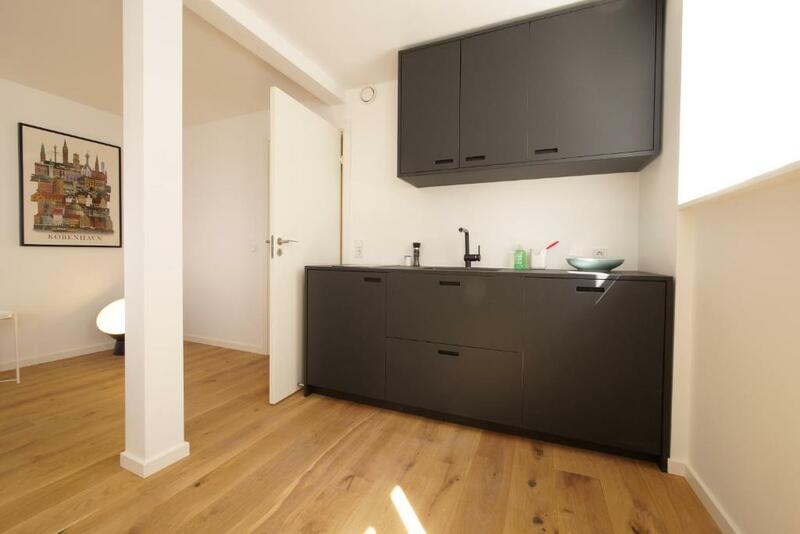 A newly renovated apartment, clean with comfortable beds and minimalistic decoration. The kitchen was small with the essential equipment. Clean comfortable apartment in super central location. The location, in the city center. Restaurants, bars, supermarkets are 2mins far on foot from the building. The host was very helpful, the place was well equipped, pleasant, and comfortable. The apartment is located very centrally, just a few steps away from the streets with stores and restaurants. The host was waiting for us with the keys (we notified him in advance) and told us everything we wanted to know about the apartment and the city. We paid very easily with a credit card, no need to carry DKK around. 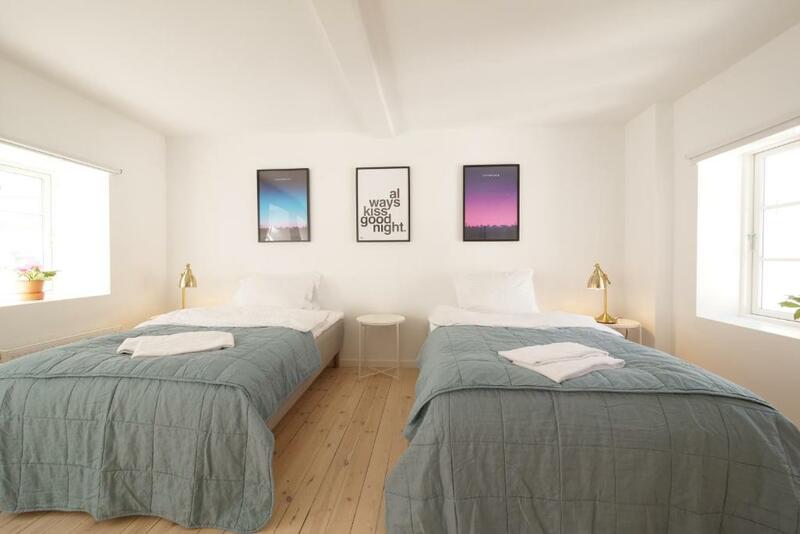 Vær sikker på at få en god pris på Rent a place to sleep - vurderet til 8,6 af andre gæster. "Nyt og rart. Dejligt med mulighed for at kunne lave mad." 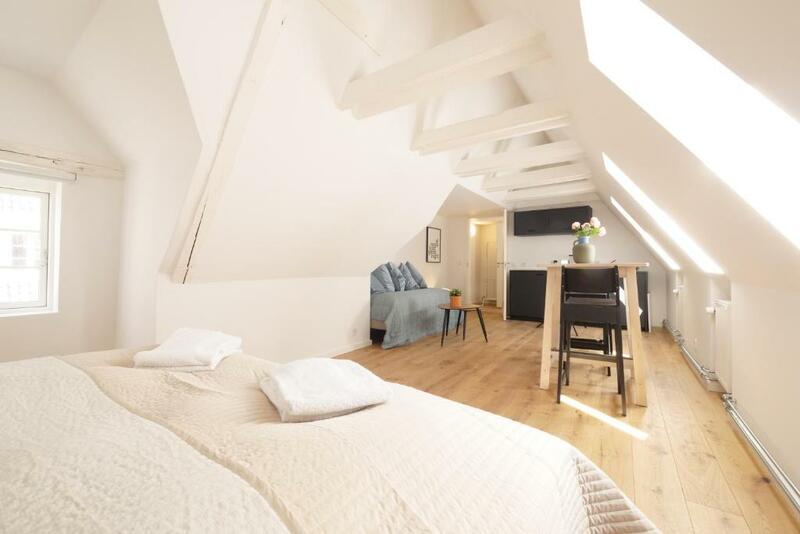 "The apartment was great - quiet, light and airy in a thriving and interesting area within walking distance of everything we wanted to see. " 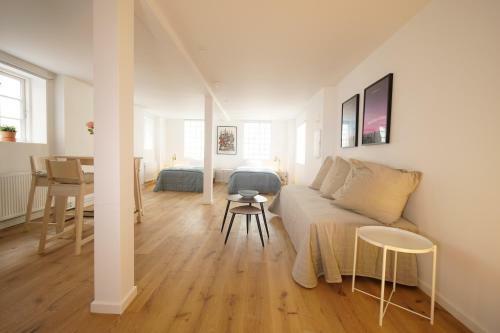 "The central location, the spaciousness and how quiet it was Very bright and comfortable." 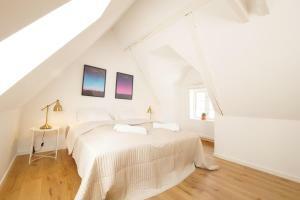 "Very central location, nice host, cozy and recently renovated apartment. Overall great stay and highly recommended"
"Very good place: kitchen, shower, beds. 1 minute from central street Stroget. 5 minutes from the city center. " "A newly renovated apartment, clean with comfortable beds and minimalistic decoration. The kitchen was small with the essential equipment." "Clean comfortable apartment in super central location." "The location, in the city center. Restaurants, bars, supermarkets are 2mins far on foot from the building." "The host was very helpful, the place was well equipped, pleasant, and comfortable." 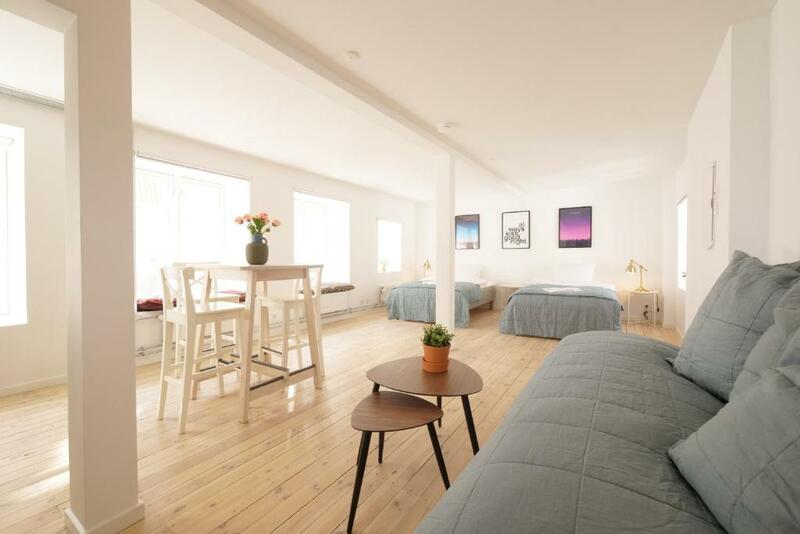 "The apartment is located very centrally, just a few steps away from the streets with stores and restaurants. " Et af vores foretrukne valg i København.Rent a place to sleep ligger 600 meter fra Rund Tower i Københavns centrum og tilbyder indkvartering med opholdsområde. Der tilbydes gratis WiFi. Der er også opvaskemaskine og kedel. Der tilbydes cykeludlejning på stedet. Danmarks nationalmuseum ligger 600 meter fra Rent a place to sleep, og Torvehallerne ligger 800 meter derfra. Den nærmeste lufthavn er Københavns Lufthavn, 8 km derfra. Par er særligt glade for beliggenheden – de har givet den karakteren 9,9. Rent a place to sleep har budt gæster fra Booking.com velkommen siden d. 26. apr. 2018. Hvornår ønsker du indkvartering på Rent a place to sleep? Dette feriehus har te- og kaffefaciliteter, kogeplader og opvaskemaskine. Før du booker Rent a place to sleep tager imod forespørgsler! Angiv dit ønske i næste trin. Rent a place to sleep tager imod disse kort og forbeholder sig retten til midlertidigt at reservere et beløb på dit kreditkort forud for ankomsten. Du bedes give Rent a place to sleep besked om, hvornår du regner med at ankomme. Du kan gøre dette ved at skrive til hotellet i boksen "Særlige anmodninger" når du booker, eller du kan kontakte overnatningsstedet. Du finder kontaktoplysningerne på din reservationbekræftelse. 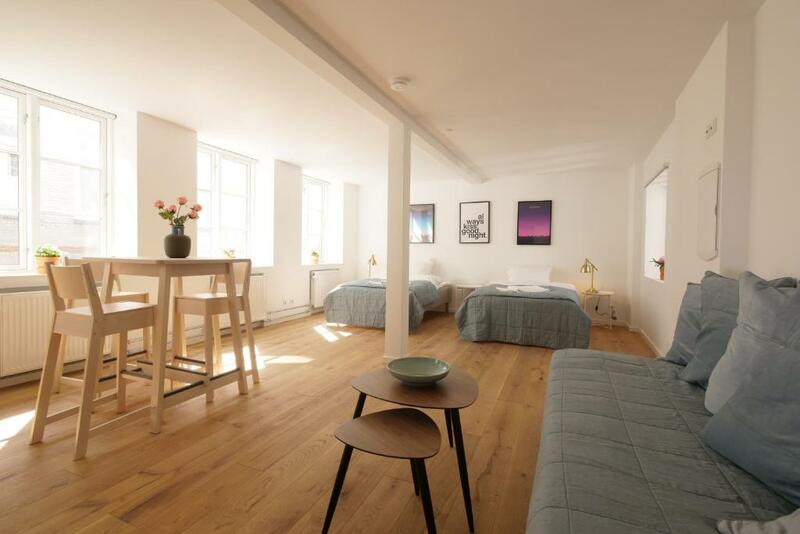 "The apartment was great - quiet, light and airy in a thriving and interesting area within walking distance of everything we wanted to see. Kasper, who met us and gave us the keys, was very friendly and informative." 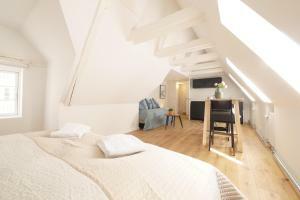 "The apartment is located very centrally, just a few steps away from the streets with stores and restaurants. The host was waiting for us with the keys (we notified him in advance) and told us everything we wanted to know about the apartment and the city. We paid very easily with a credit card, no need to carry DKK around." I midt København kan man vist ikke regne med at se himlen/vejret fra vinduerne i stueetagen. Sengen var super fin. Der var rummeligt og pænt.